Our company Nieros is a professional manufacturer of stainless steel products and storage for cleaning aprons with the long tradition. Our offer includes advanced technological equipment for the food, pharmaceutical, and chemical industries as well as several other industries. Our offer therefore also includes storage for cleaning aprons and uniforms. The stainless steel products offer storage for cleaning aprons and we also provide apron dryers. 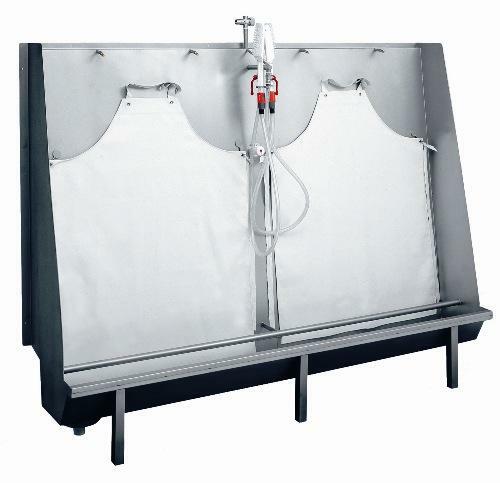 Storage for cleaning aprons must be durable and waterproof, which makes stainless steel storage and stainless steel apron dryers perfect to use for your cleaning aprons and uniforms. Storage can also be used to stash away washing up aprons. For storage of your cleaning aprons, you can choose between a wall mounted or ceiling mounted version of storage. How to wash aprons before storage will be shared on another page. For the storage of your cleaning aprons and uniforms you can choose between helmet and apron wardrobes, which can be fastened to the wall or fastened to the ceiling. We also offer planks with hooks for the storage of your cleaning aprons to be fastened to the wall. Our offer also includes an apron dryer locker. Lockers are designed for safe drying and storage for up to 40 cleaning aprons and can also store washing up aprons. Cleaning aprons are placed on special holders which can be retracted for the easier hanging of your cleaning aprons. The locker is also equipped with perforated doors, vent holes, and a lock. 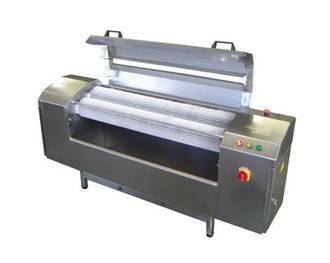 A floor or wall mounted apron dryer is also available. It comes with hangers for drying and storage of cleaning aprons and is made of stainless steel. It also comes in different sizes for 10, 20 or 35 cleaning aprons. There are also different methods of washing up aprons.